If your small business provides products and/or services to clients who are financially affected by the government shutdown, you may be wondering what your next step should be if your client cannot pay his or her bill. No matter what you choose to do (defer payment, cancel the contract, or set-up a new payment plan), consider following through on the five (5) steps below to protect your business; to maintain your customer care; and to keep the lines of communication open. 1. Determine what you are able to accept financially. Before you speak with your client, speak with your advisors to determine what you are able to accept financially. 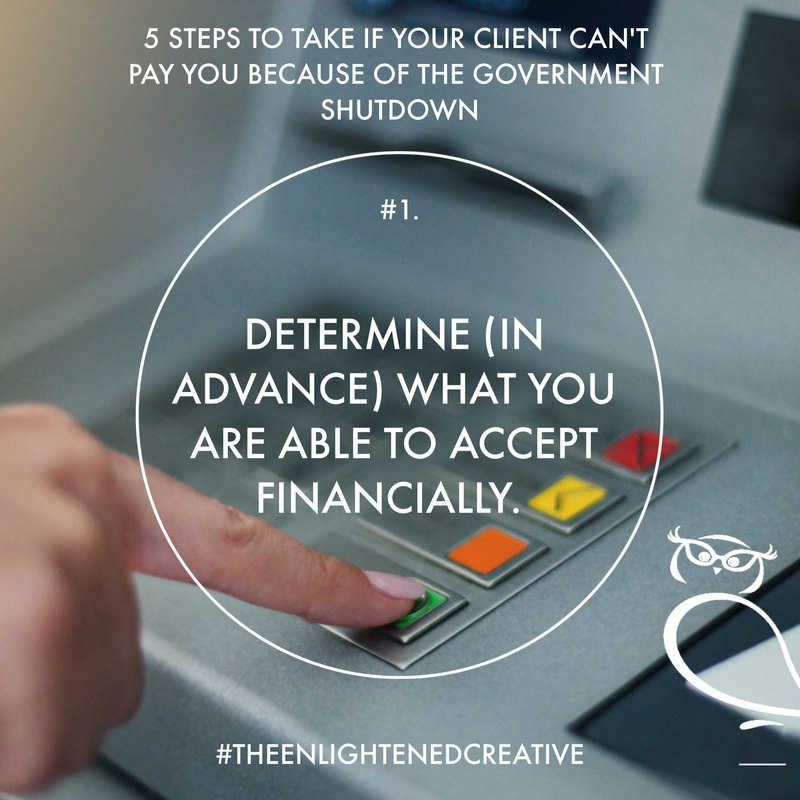 If you are in a position to allow your client to pay after the shutdown is over, consider that route first. 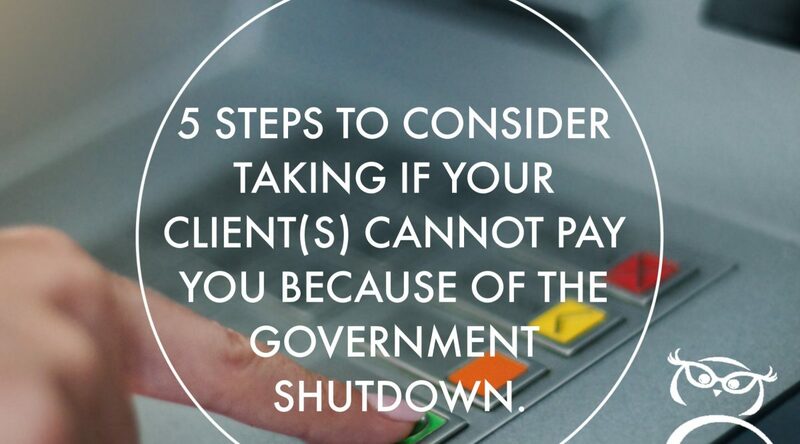 (Especially if your client has been a good paying customer before the shutdown began.) If continuing services without pay presents a financial hardship to your small business, determine an alternative until you can resume services. 2. Reach out to your client(s). Keep all correspondence and redress professional and compassionate. Especially compassionate — This situation is beyond your client’s control. And, your discussions with your client are still a part of your customer service. 3. Detail the new payment terms in a contract addendum. If you make any changes to the payment terms, detail them in a contract addendum. Then, you should sign it and get it signed by your client. 4. Discuss your updated accounts receivables with your accountant and your creditors. If your client(s) lack of payment affects your ability to pay your creditors, contact them BEFORE your payment is due and notify them of the situation. You don’t want this shutdown to affect your business’ credit. 5. Respect their privacy. Your client’s inability to pay is not a subject for Facebook groups or gossip.